From September 25 until October 10, anyone with an interest in the history of Ireland is in for a treat, as the Dublin Festival of History will be taking place in a number of venues around Dublin. As everyone knows, Ireland has a tumultuous yet intriguing political history and the concerts, talks and exhibitions being hosted aim to try and get under the skin of this history; to examine, from a 21st century perspective, the events of the past. 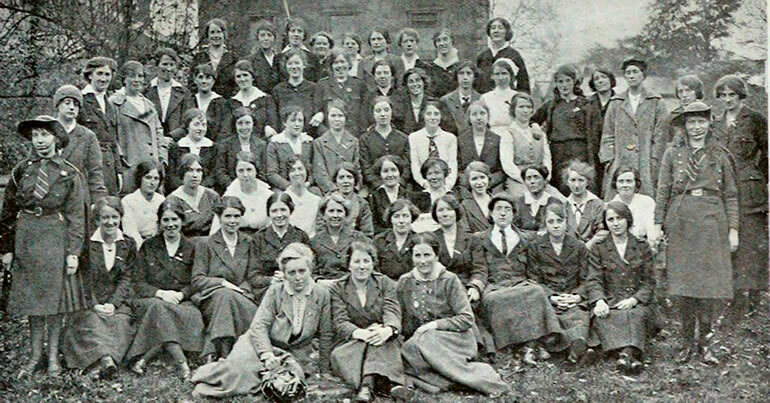 On October 8, there will be a fascinating talk entitled, ‘Women and the Easter Rising’, along with a talk on the re-development of Richmond Barracks . This talk will be held in Ballyfermot Library at 6:30 pm and will be chaired by Liz Gillis, a tour guide in Kilmainham Gaol and Dr Mary McAuliffe, a lecturer in Women’s Studies in UCD. Both Liz Gillis and Dr Mary McAuliffe have researched the women imprisoned in the barracks and want to share their discoveries. 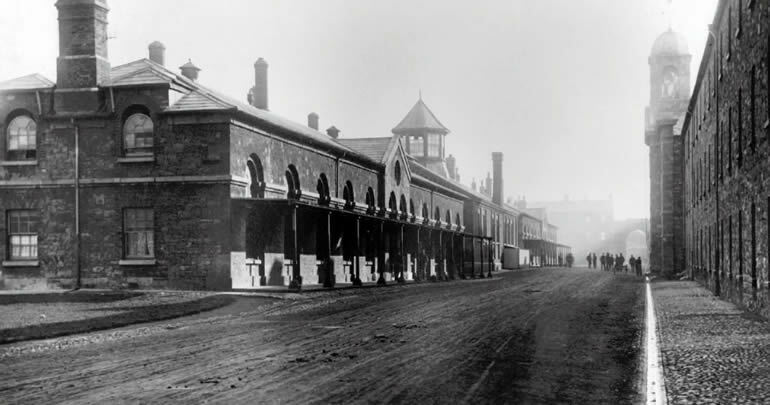 Richmond Barracks is amongst seven of Ireland’s ‘Permanent Reminders’. It is set to welcome members of the public from May 2016. The Executive Chair of this initiative, Éadaoin Ní Chléirigh, will give a talk on the re-development of Richmond Barracks, which saw the leaders of the 1916 Rising being court martialled. Also on October 8, there will be a talk entitled ‘Development of schools for the Deaf in Cabra from 1846’, chaired by Liam Breen, Chairperson of the Deaf Heritage Centre. The talk takes place at 6:30 pm in Cabra Library. Liam Breen has researched in depth the advent and evolution of schools for the deaf in Cabra, and will discuss his findings. Irish Sign Language (ISL) interpretation will be provided at the talk. Liam Breen received his training in Maynooth University and is now a qualified archivist and curator. The (needless to say, exceptionally positive) difference that educating deaf people has made to this community and the community at large over the last century and a half will be examined. In addition, he will talk about the hard-won recognition, both here and abroad, of the vital work done by educators of the deaf as standards of best practice were established and maintained. On October 8 and October 10 at 8 pm, ‘The Great War Signal Corps’ will be performed at The Riding School in Collins Barracks. This is a new and innovative piece of music composed by George Higgs for four voices (provided by Tonnta Music, directed by Robbie Blake), keyboard (played by David Bremner) and electronics (this and drama provided by members of Dublin Youth Theatre and the composer). Via music, the audience will be guided through World War I as seen by Irish people. It uses text from archives held in the National Library and National Museum of Ireland. 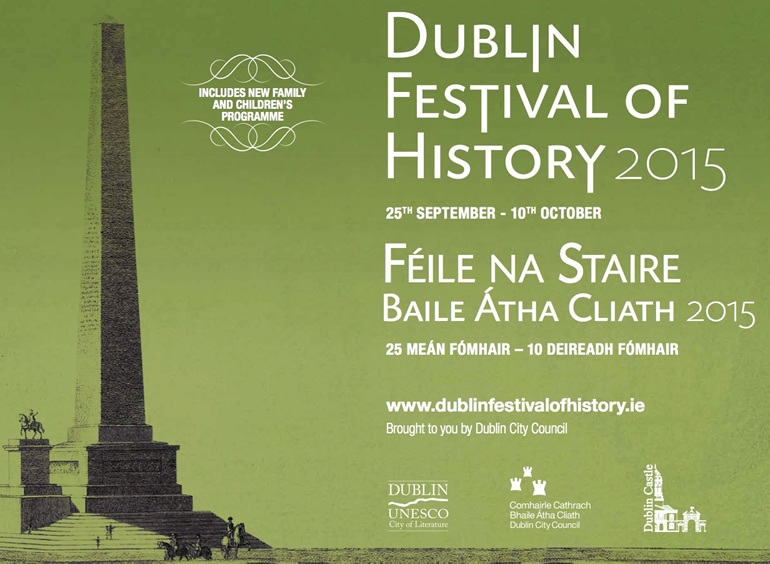 For more information and the full programme of events being held at venues around the county, visit www.dublinfestivalofhistory.ie. Booking is required for a number of events – it’s best to check this out in advance, to avoid disappointment.